Gosh we love this super vivid collar! A fabulous Kaffe Fassett designer print of styalised flowers in jewel bright shades of cerise pink, orange, tangerine. mid-pink and accents of black. This collar looks especially stunning on darker coloured hounds. 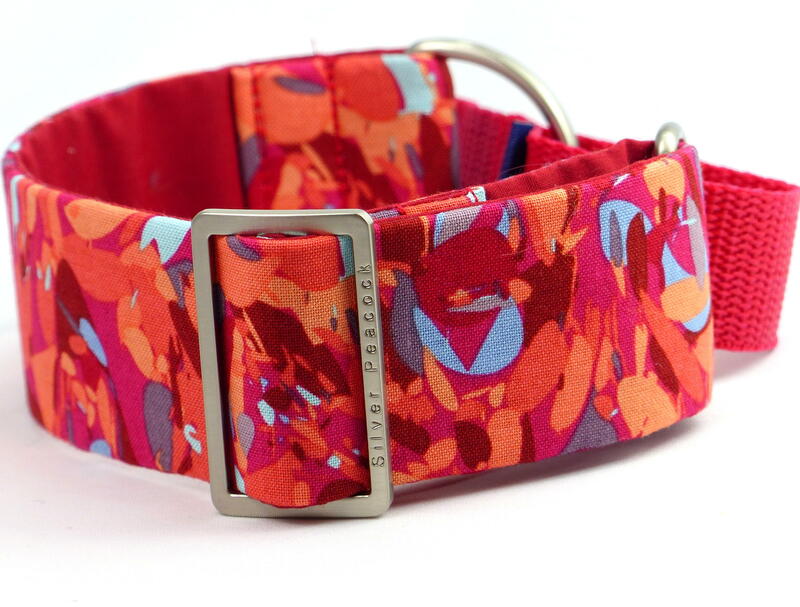 The collars are lined in co-ordinating cerise fabric and are finished with our signature robust silver coloured hardware.